THIS EVENT WILL SELL OUT! 60% FULL! 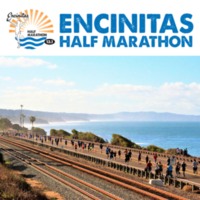 Join 5,500+ runners and walkers for the 3rd annual Encinitas Half Marathon & 5K on Sunday, March 31, 2019! 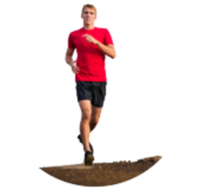 This beachfront course offers over 7 miles of beautiful oceanviews through 4 world famous SURF TOWNS of Leucadia, Encinitas, Cardiff and Solana Beach. You'll run along Hwy 101 and through the funky neighborhoods of Encinitas passing by Swami's Temple, the Boat Houses, Cardiff Kook Statue, and plenty of local artist paintings that are featured world wide. All participants will be spoiled! Major bang for your buck! It's the perfect course for first-timers or to set a new P.R. !